Green Rush Podcast The Green Rush is real! Doug Cortina, CEO, and Jigar Patel, President, of NorCal Cannabis, one of the largest vertically integrated cannabis operators in California, are our guest for this week’s episode of the Green Rush! Subbing in on hosting duties for Lewis this week is our old pal Nick Opich who joins Anne to chat with Doug and Jigar. In case NorCal is a new name for our listeners, it’s one that you should get on your radar quick. Currently the company operates state-of-the-art production facilities, including more than 100,000 sq. feet of indoor flower canopy, manufacturing, processing, packaging and distribution assets. In addition, NorCal also operates the leading network of statewide delivery depots, and had a coming out party of sorts this past week when they announced the company raised $27M as part of its Series A round. Anne and Nick chat with Doug and Jigar for a deep dive into the operations of NorCal and discuss what the company has planned for the new financing. In addition, our hosts touch on NorCal’s potential plans to go public, how Doug and Jigar found each other, and the evolving California cannabis delivery landscape. To top things off, Doug and Jigar let us in what they would tell California Governor Gavin Newsom if they get the chance to bend his ear about the California cannabis industry. Doug Cortina, CEO, brings a strong background of hands on business and entrepreneurial experience to NorCal Cannabis. Doug has successfully led the planning, development and execution of three cannabis projects in the Bay Area. Douglas has been involved in the real estate development industry in the Bay Area for the past five years. During this time he has structured and administered numerous real estate partnerships and is directly responsible for the acquisition of over $50MM in Bay Area properties. Prior to moving to San Francisco Douglas worked in NYC for the investment bank Brown Brothers Harriman. 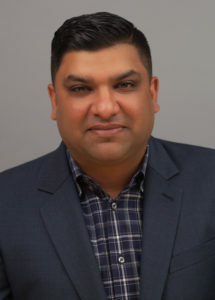 Jigar Patel, President, has been an instrumental leader in the California cannabis industry. 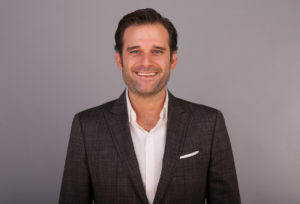 He is the founder of four state and locally compliant cannabis businesses, playing pivotal roles in real estate sourcing, entitlement, funding, design, build and operations. He is an industry leader in bringing local regulatory compliance to many jurisdictions including San Francisco, Santa Rosa, and Sonoma County. His depth of knowledge of the rich history of California cannabis, regulation, cultivation, and sales in a compliant marketplace provides a distinct advantage to achieving NCC’s business objectives. An experienced entrepreneur, Mr. Patel has also been the founder of a successful Sonoma County winery, Jigar Wines. As President of NorCal Cannabis Company, Mr. Patel is responsible for oversight of all operations. This episode was hosted by Anne Donohoe and Nick Opich of KCSA Strategic Communications. The Green Rush podcast is about the business of Cannabis. Each week, we will be talking to newsmakers on the front lines who are building the legal cannabis market. From lawmakers and investment bankers, to CEOs and investors, and maybe even a celebrity or two, Lewis Goldberg and Anne Donohoe will take a look at how people are transforming cannabis from the shadows of the black market into a thriving U.S. industry. The Green Rush podcast is proudly produced by MJToday Media. (Legacy) denotes episodes created by a previous production team. Friend, follow, connect, and share! © 2019 Green Rush Podcast. All Rights Reserved.